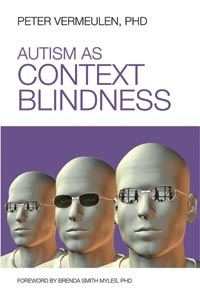 Following our successful SCERTs conference in 2015, we are delighted to welcome Dr. Peter Vermeulen as our international speaker at this unique one day event focusing on Outcomes for people with Autism and Autism as Context Blindness. Peter has an MSc and PhD in Psychology and Educational Sciences. He has worked with people with ASD and their families for more than 25 years. Peter is a co-director of Autisme Centraal, a ground breaking and highly regarded training and education centre for autism spectrum conditions based in Gent, Belgium. Peter is an internationally respected lecturer/trainer and he presents all over Europe and beyond. Peter has written more than 15 books and several articles on autism. Intended audience: School Leaders, Education and Social Care Service Managers and Commissioners, Teaching and Support Staff, SENCO’s, Outreach Teams, Educational Psychologists and Mental Health Professionals working with people with Autism. Cost: £100 per delegate - Lunch and refreshments provided.